Another of those popular Westports comes on the market as news arrives from Moran Yacht & Ship that they've listed the 34.1m motor yacht Contigo for sale. 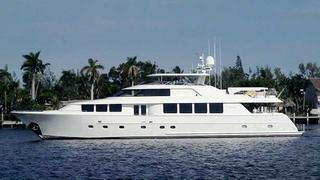 Built in 2009 as one of the yard's 112 series, Contigo accommodates eight guests in four cabins while twin MTU 16V 2000 engines with low hours give her a cruising speed of 24 knots. Contigo is asking $7.85 million.